In today's business environment, operators must be exceptionally efficient and cost-conscious to survive. 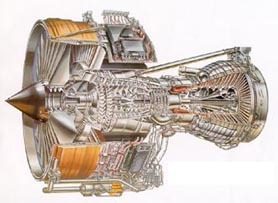 Success requires meticulous planning and management of resources, particularly with critical big-budget items such as powerplant MRO (maintenance, repair, overhaul). Designed after substantial research, testing, and validation in real-world applications, these powerful systems incorporate advanced analytical methodologies and applied statistical principles. This gives you the highly reliable, timely information needed for better decisions in the face of the considerable uncertainty and variability inherent in powerplant maintenance. A key objective in designing our solution was to ensure compatibility with existing or planned information systems. CA Advisors’ advanced engine maintenance planning solution can easily use the data from a variety of systems. Further, it offers options for sharing outputs with your other information systems, as well as with four linked, yet independent systems that comprise our total solution. The result is a fully automated process, leading to more accurate information and additional savings in time and money. Finally, our OnDemand service guarantees that you’ll be able to use our solution right away without a need to purchase any software. CA Advisors experts will work with you so that you will gain the most out of our Software-as-a-Service offering. In addition, we will see to it that our solution is fully integrated with your existing business processes. Our goal is to ensure that you streamline your engine MRO operations to meet the challenges of an increasingly demanding environment. We will work with you to achieve that Lean MRO goal.